Himachal Pradesh is a state in the northern part of India. Situated in the Western Himalayas, it is bordered by states of Jammu and Kashmir on the north, Punjab on the west, Haryana on the southwest, Uttarakhand on the southeast, and Tibet on the east. At its southernmost point, it also touches the state of Uttar Pradesh. The state's name was coined by acharya Diwakar Datt Sharma, one of the state's eminent Sanskrit scholars. Lohar are considered to be a caste among Hindus and Sikhs and a clan among Muslims in the Indian state of Uttar Pradesh and Nepal. They form part of a loose grouping of traditionally artisanal castes known as Panchals. Regional synonyms include Vishwakarma and Saifi. 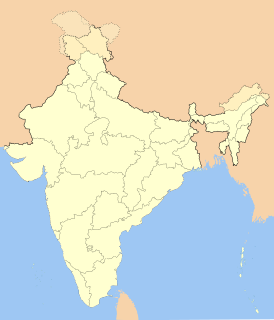 Hawai is the district headquarters of the newly created Anjaw District in the state of Arunachal Pradesh in north-east India. 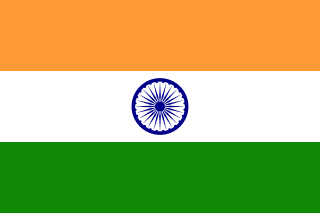 Elections in Andhra Pradesh state, India are conducted in accordance with the Constitution of India. The Assembly of Andhra Pradesh creates laws regarding the conduct of local body elections unilaterally while any changes by the state legislature to the conduct of state level elections need to be approved by the Parliament of India. In addition, the state legislature may be dismissed by the Parliament according to Article 356 of the Indian Constitution and President's rule may be imposed. Tourism in Himachal Pradesh relates to tourism in the Indian state of Himachal Pradesh. Himachal Pradesh is famous for its Himalayan landscapes and popular hill-stations. Many outdoor activities such as rock climbing, mountain biking, paragliding, ice-skating, and heli-skiing are popular tourist attractions in Himachal Pradesh. The Chief Electoral Officer, Uttar Pradesh is the Government official responsible for supervising the preparation, revision and correction of the electoral roll and for supervising the conduct of all elections in the Indian state of Uttar Pradesh. As of 20 Sep 2018, Lakku Venkateshwarlu is the Chief Electoral Officer of Uttar Pradesh. The Mohan Nagar Metro Station is located on the Red Line of the Delhi Metro. It is located in the Sahibabad Industrial Area locality of Ghaziabad of Uttar Pradesh.It is one of main and busiest metro station of Ghaziabad and also the future connectivity with Vaishali Blue line metro is Proposed.Situated Right next to important Malls,Hospital,colleges and Industrial area which gives this metro station a extra importance .People going to anand Vihar or Vaishali can take Bus from outside the Metro Station also auto rickshaw to various places of Ghaziabad and Dilshad Garden is available from here.